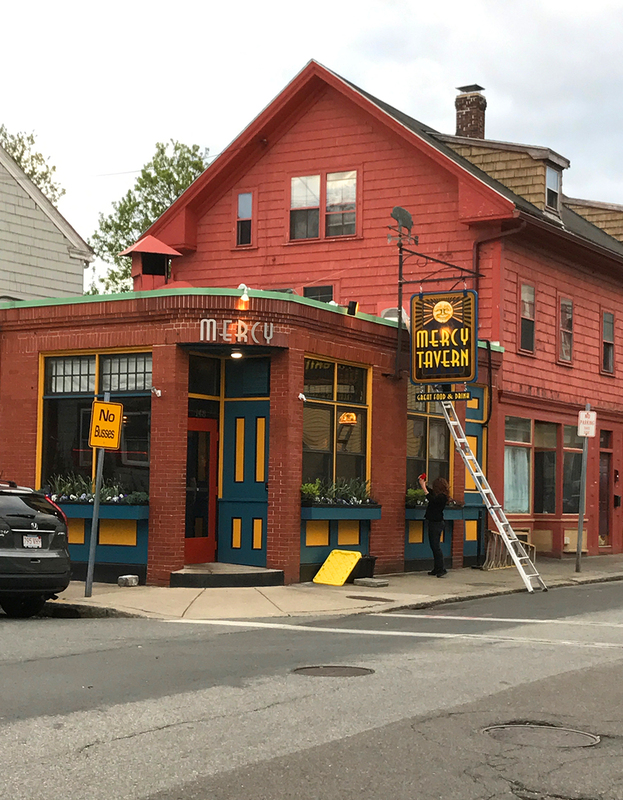 Formerly "In A Pig's Eye", this neighborhood bar had been a Salem institution for over 30 years before it's closure. 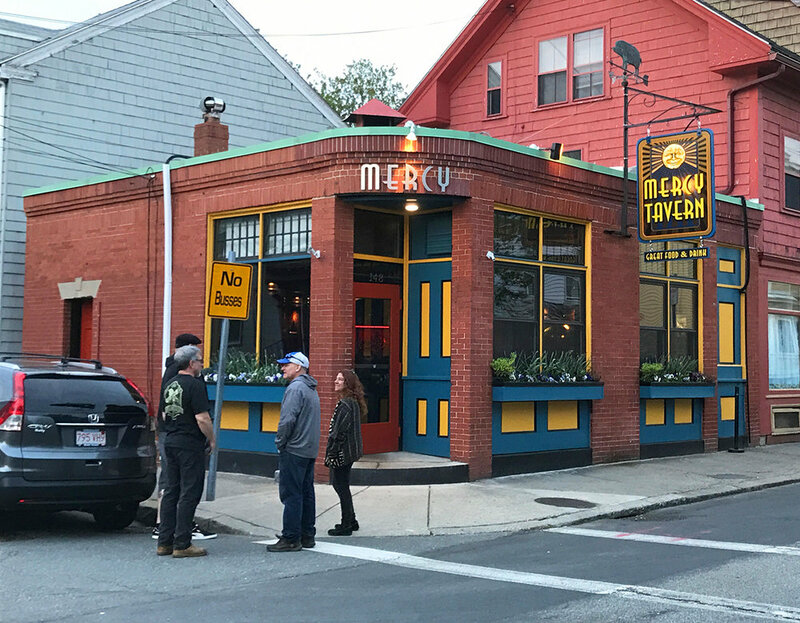 The new owner contacted us to help build a new institution but keep some of the local charm that the neighborhood loved so much. 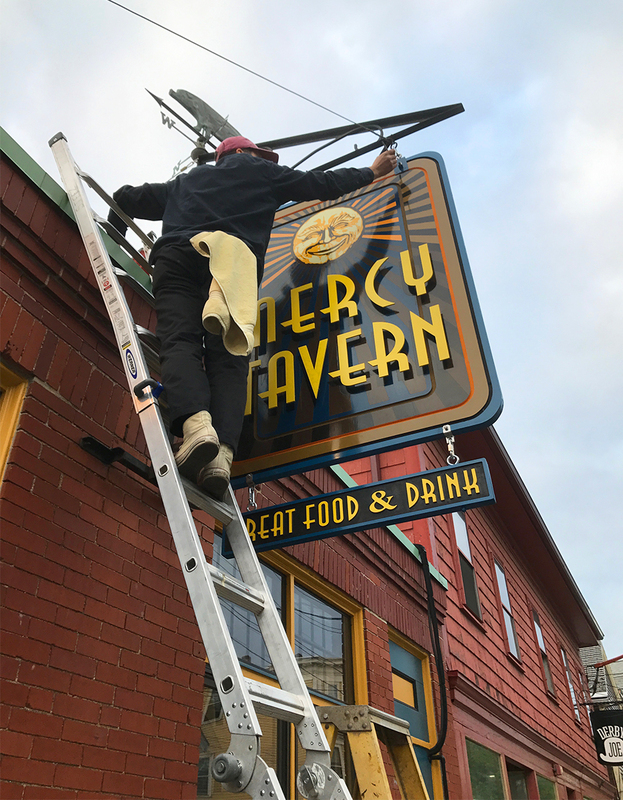 We mounted new raised metal letters above the front entrance and built a large 2-sided hanging sign in place of the previous one. 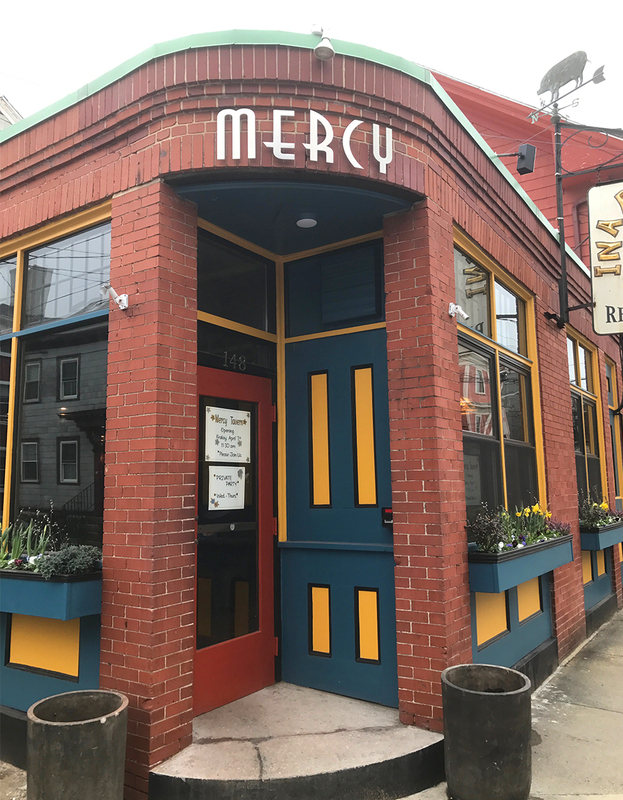 The new Mercy Tavern sign is almost entirely hand painted with some routed outlines and raised metal letters. We also added a small swinging sign on the bottom of the larger sign. 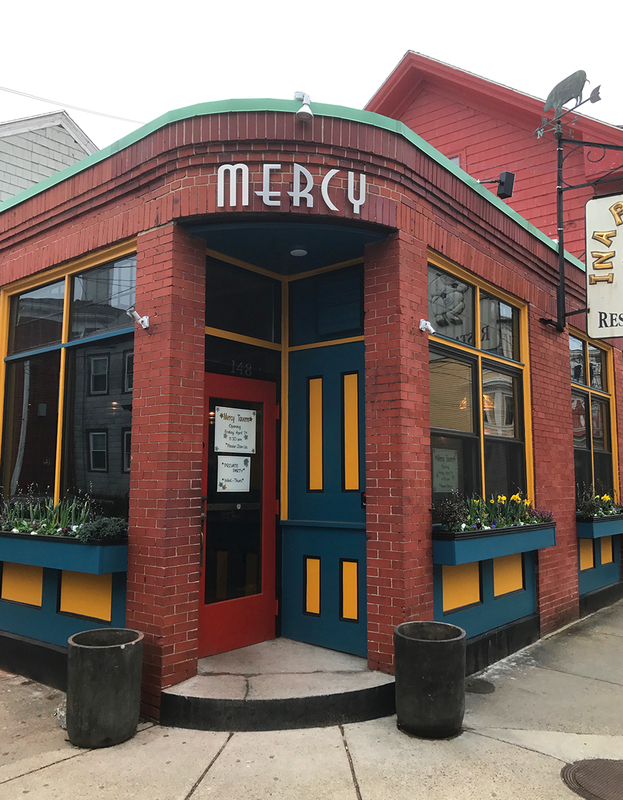 Stop in for a bite, the food and drinks are on point.